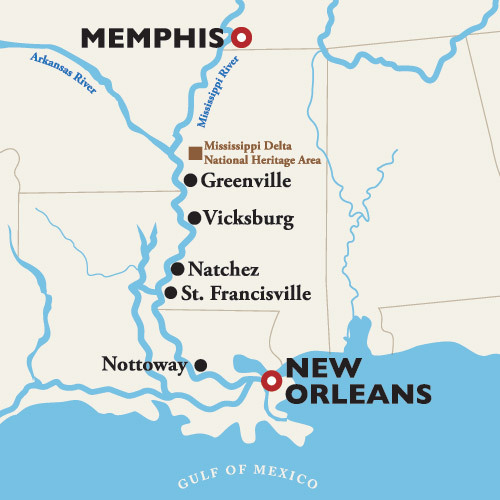 Note: The April 28, 2019 departure has an altered itinerary due to historic high water on the Mississippi River and inaccessible ports. Please note: Due to high water on the Mississippi River, the April 14 departure will have a revised itinerary. Day 2 will no longer visit Nottoway Plantation and will spend the day cruising. The Oak Alley Plantation and Life in the Bayou Cajun Swamp Tours have been cancelled and guests booked on these tours will receive a refund. Day 3 will now dock in New Roads, LA.